As a mother of three living in San Francisco, it’s safe to say that Liz Stanley has a very busy lifestyle! 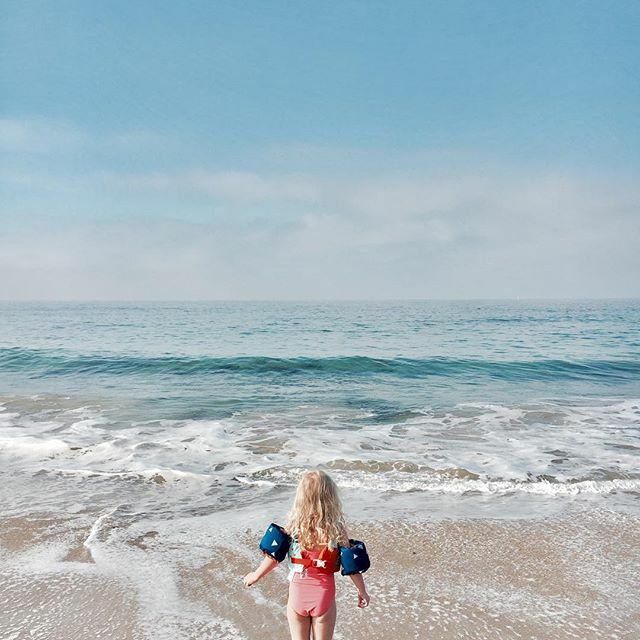 From traveling the world, running the popular Say Yes blog, and trying new recipes, Liz captures the essence of family life in her photos. She just returned from an Instagram takeover in Orange County as part of Alaska’s Weekend Wanderer series. For more Weekend Wanderer posts, be sure to follow Alaska Airlines on Instagram. Surprise trips are some of my very favorites. It’s a tradition my family did growing up. They called them Mystery Rides and we’d all pile in the car with no clue where we were headed. Sometimes it was a movie or an amusement park, and sometimes it was something more exciting like a trip to see our cousins in New Jersey. We loved them! Last weekend we took our three kids (ages 9, 3, and 1) on a huge surprise trip to Disneyland and Orange County. When our oldest, Henry, came home from school, we told him we needed to have a serious family meeting about all chores that we needed to do that coming weekend. Instead, we had them play a hot/cold game to find a surprise (which were the Mickey ears we had bought beforehand). They were both confused at first. 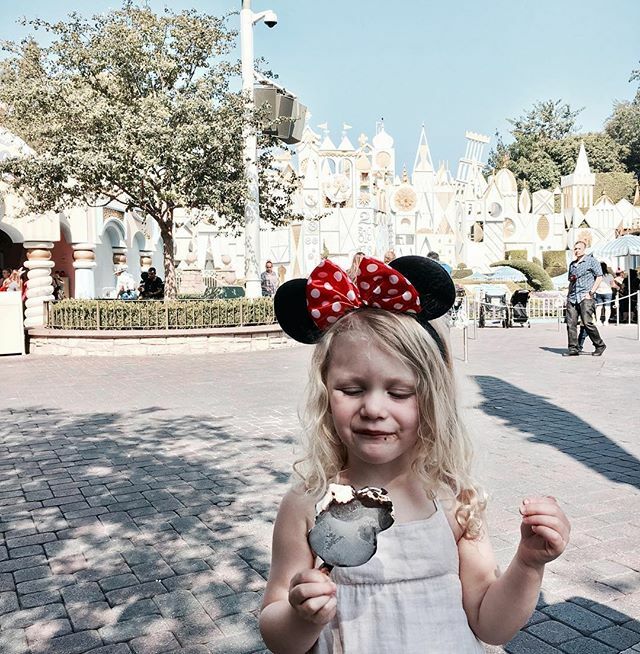 Edie, our 3 year old, had never been to Disneyland, so she didn’t really know what it all meant. It still took Henry a minute to let it all sink. It was a hilarious, chaotic scene. 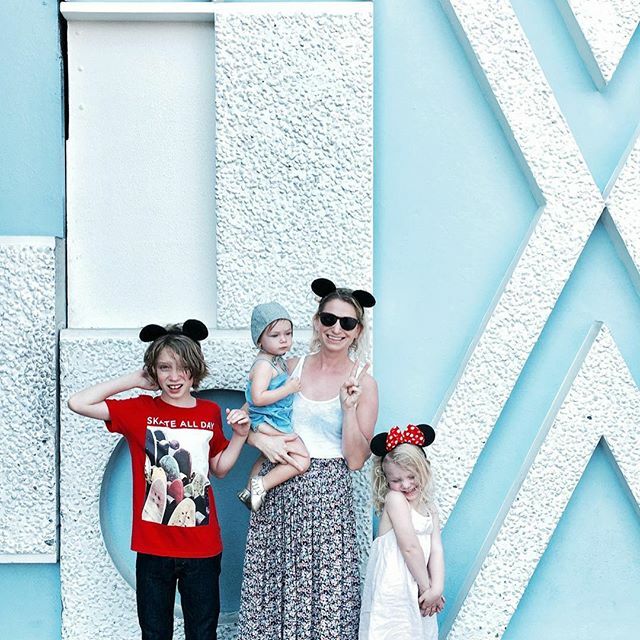 This Disneyland trip was actually a surprise for the kids! We flew Alaska Airlines from San Jose, California, to John Wayne Airport in Orange County. The flight was so quick! Comfy leather seats and a really generous amount of legroom in our main cabin seats, too. We are huge fans of flying on Alaska and living in the Bay Area there are always so many destinations they travel to. We tucked the kids right into bed for a full day of Disneyland in the morning. Disneyland trips can seem stressful but my brother-in-law Salem is a Disneyland expert and gave us all the local tips we needed to know. 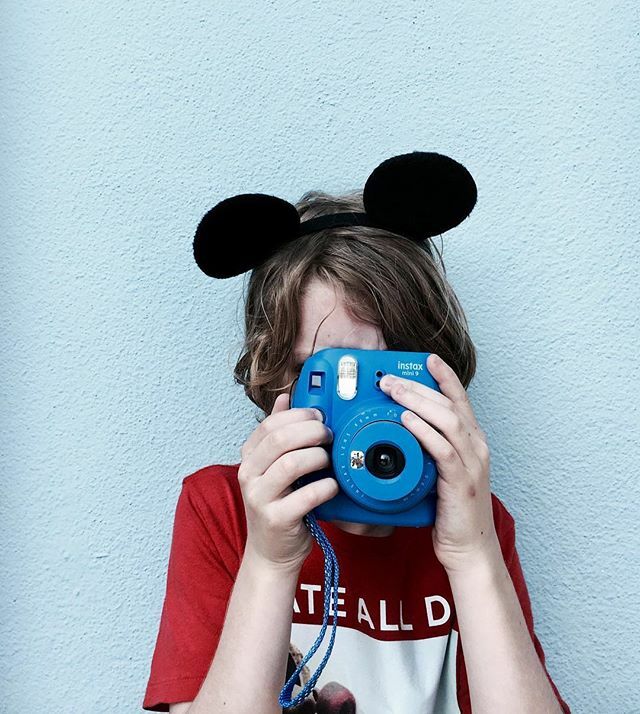 Disneyland can seem like an overwhelming family trip. I rallied for tips from my Orange County friends and family. The rides are different and strategy is pretty much required. With other parks, you can just walk in without a plan and wander about going on whatever rides you choose. With Disneyland, you need to strategize a bit otherwise you’ll end up spending most of your time waiting in lines. Also, there is a lot of other stuff to do when you do find yourself with downtime while you’re waiting for your next FASTPASS reservation. Food, obviously, but there are shows and performances that are going on all the time that everyone likes. Dot loved the Tiki Lounge show! I would never do Disneyland without these things! It will save you hours of time waiting in lines. The Disneyland app is free. Download it and you can see the wait times at any ride. You can also scan your ticket in and for $10 per ticket, you can get what they call the MaxPass. You may have heard of the FASTPASS (which is totally free by the way). It’s a ticket you collect at a ride kiosk to reserve a later time for the ride for a popular ride. The MaxPass is just a digital version of the FASTPASS, so you don’t have to walk over to the ride to get the reservation ticket, you just reserve the time on your phone and then report back to that ride during the hour window they give you. SUPER helpful. We didn’t go on any big rides without a MaxPass reservation. Henry was so spoiled with child swap this trip, having two little sisters that couldn’t ride! This is not something I see signs for, but it’s a great tip if you have little kids that can’t go on rides, two adults that want to go on a ride, and big kids that can. With a Rider Switch (we called it a “child swap”), one adult can stay with the little ones outside the ride while the other adult can go in, and then when they come out, the adults swap and the other adult can go back in with those kids again! You just ask them at the front of the ride for a child swap and they give you essentially another FASTPASS for a few minutes later to use. This meant that Henry could go twice on the big rides. Once with me, and once with Jared. This is exactly how you want Disneyland to feel the first time! Also, she calls Small World, Little Land, how cute is that?! Unlike most of other amusements parks, there are many rides that everyone (even babies) can go on. This makes Disneyland unique. Again, I had kind of forgotten about this fact (it’s been a few years and we had never taken a baby to Disneyland before). It was so fun to do rides all together as a family and have Dot enjoy them just as much as us! 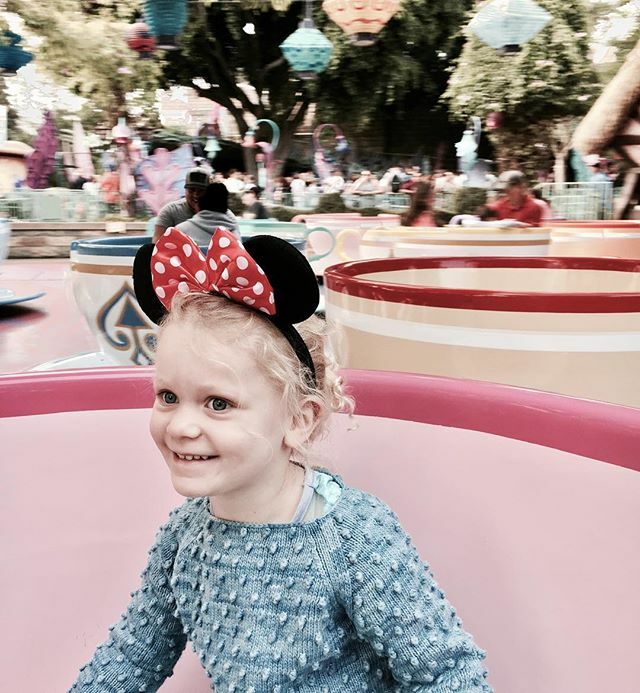 Some favorite family rides are Small World (which Edie adorably called Little Land), The Little Mermaid, Tea Cups, Snow White, Peter Pan (although the line is always long, I’d just skip it altogether), Alice in Wonderland, Monsters Inc, etc. There are also lots of trains and boats and those fun things. The only tricky thing is that the family rides don’t take FASTPASS so it might be a good idea to get those done first thing when you arrive before the crowds get there around mid-day. Before we headed home on this quick #WeekendWanderer trip, we stayed in Laguna Beach for night. It was the perfect relaxing end to our trip. The two times we’ve gone, we’ve always stayed at the Disneyland Hotel and really love it. First off, the light show on the headboard is super magical and the girls were obsessed with it. Second, you’re a really close walk to the entrance so you can easily go back to the hotel for a nap if your kids (or you) need to. Third, the pools and waterslides are really fun in the afternoon for a break before heading back in the evening (if you can rally the gang!). Fourth, MAGIC HOUR. Guests of the Disney hotels can get into the park an hour early. Which is awesome and you can really knock out a bunch of rides quickly! They usually alternative days between parks. So our first day we had magic hour in Disneyland, and our second day we had magic hour in California Adventure. However, the Disney hotels can get pricey so there are a lot of other options that have really reasonable rates. You can’t go wrong with Mickey Mouse-shaped ice cream bars. For little kids, make sure you bring your own snacks and water (duh, but we kind of forgot the snack part the first day we were so stoked to get out the door). Also, here are our favorite foods at Disneyland (obviously not a comprehensive list, we only had 48 hours to eat everything in sight). Corn dogs from the cart in front of the Plaza Inn restaurant. This is also where we went to a character breakfast, which would have been fun if Edie wasn’t terrified of all characters! Dole Whip in front of the Tiki Lounge show (you can take them inside the show too!). Churro ice cream sandwiches in Downtown Disney (one cart is on either end of the strip). Mickey Mouse-shaped ice cream bars (above!). Thanks to so many helpful tips and a little planning, we had an amazing time. Any tips for Disneyland you’d add? 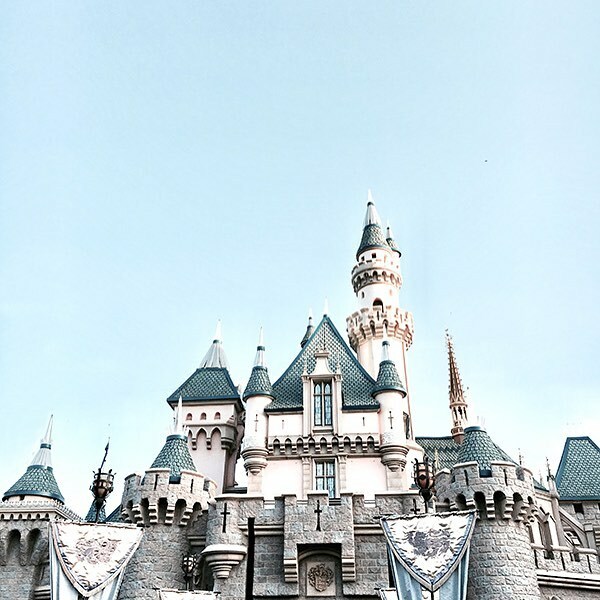 2 comments on "Weekend Wanderer: San Jose to Orange County (and Disneyland!)" 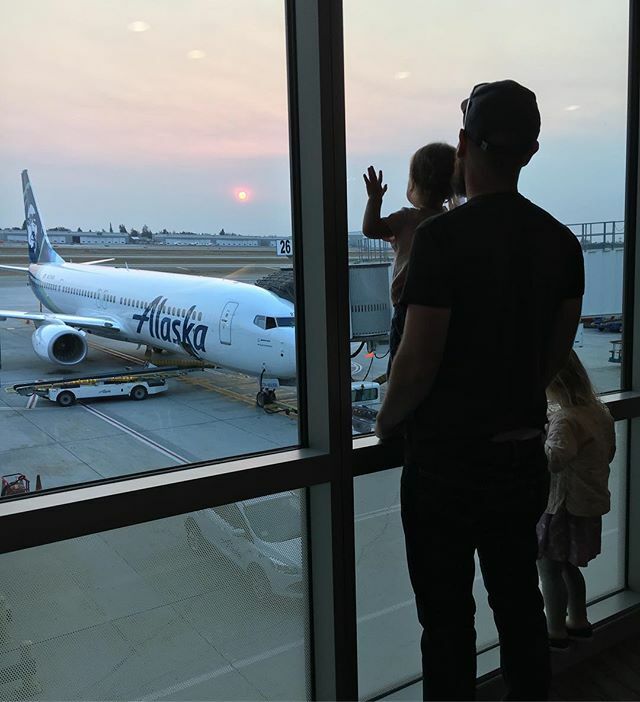 Going to Disneyland on Alaska Airlines has been absolutely wonderful for our family. We try to go every two years, and it’s an experience that makes our whole family happy. We forgot snacks last time, too, so we bought the kids meals on the airplane, and my daughters were delighted with them. They were healthy and delicious! When we arrived, we went into a mini mart, and bought protein snacks and waters to stock our mini fridge and take into the park. Also, keeping surprise lollipops in your bag for end of day meltdowns saved our lives.